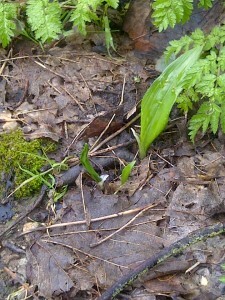 The first of the native bulbs that we planted back in November have been coming up. 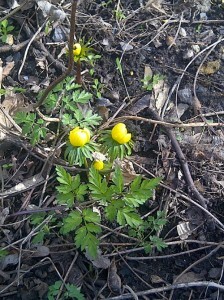 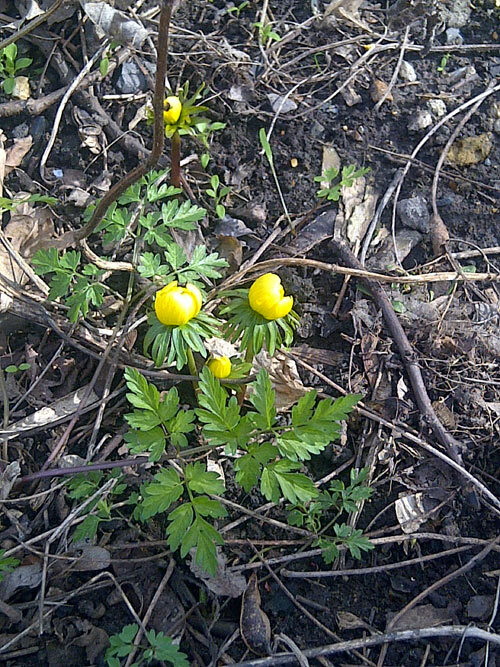 The bright yellow winter aconites are easy to see on the woodland floor and it’s good to know that they made it through the winter. 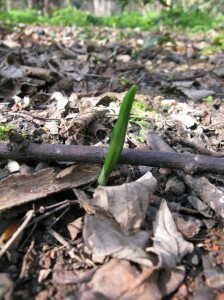 Hopefully they will spread. 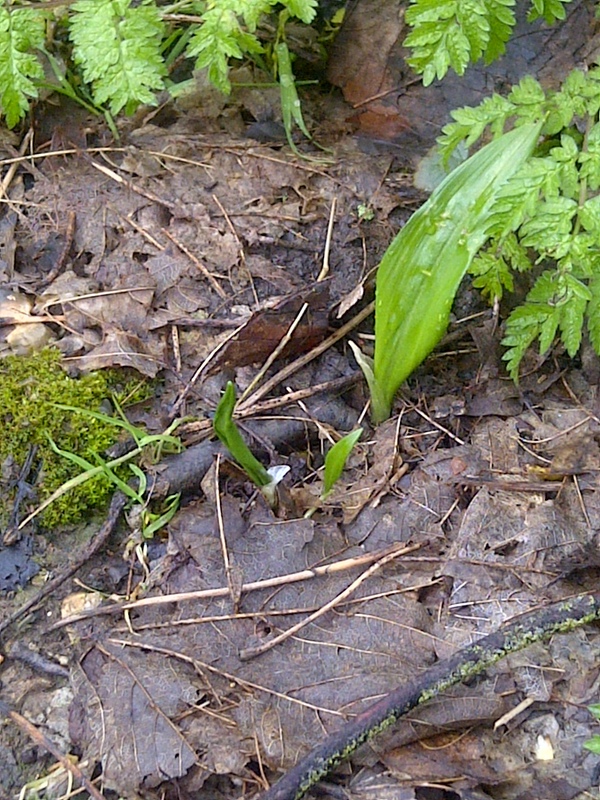 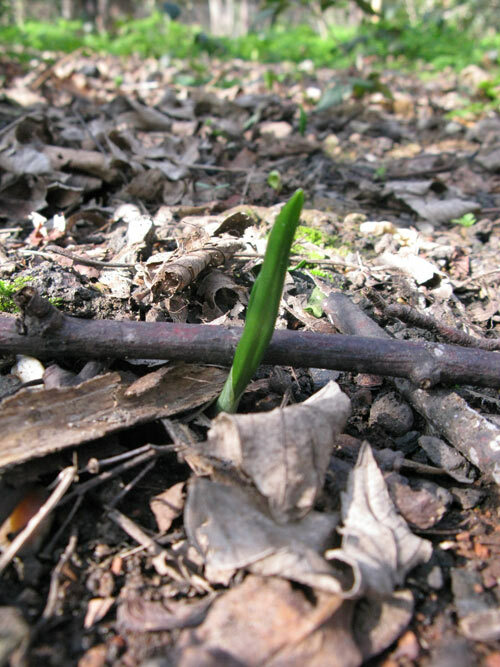 Tiny buds of wild garlic are also starting to peek through.